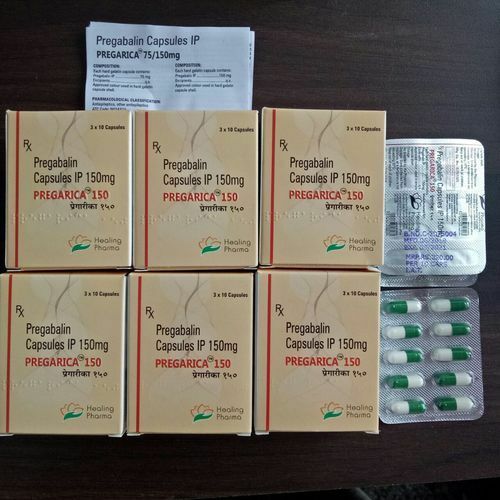 Pregabalin is sold internationally as Lyrica. Derma Medicine Point is leading supplier of Pregabalin capsules. Available as 75 mg, 150 mg & 300 mg capsules. We are supplying it to our clients worldwide. We have a dedicated team looking after Drop-shipping & Export which includes Senior Pharmacist, Assistant Pharmacist, Procuring Staff, Administrative Staff, Logistic staff, Warehousing & Packaging Personnel. We mainly deal with products which are manufactured by FDA-GMP or WHO-GMP certified company. Some of the renowned names are Cipla, Sun Pharma, Ranbaxy, Natco, Dr.Reddy's, Lupin, Pfizer, Johnson & Johnson, Glaxo SmithKline, Novartis, MSD, Boehringer Ingelheim, Ferring etc. These manufacturers have long standing experience in the pharmaceutical industry. We provide all the generic drugs in their original packaging. Further we provide Pedigree report if required for our products which ensures that customer is getting genuine medicine. · Provide tracking number onsite within 24 hours. · Offer biggest assortment of medicine in portfolio covering all segments of medicines. · Discreet packing of medicines in customized boxes or padded envelopes for damage free delivery of medicines. · Provide 24x7 Customer Service. · Use Government post EMS or RMS postal service & private courier agencies DHL Express, FedEx, UPS, DTDC etc. as per destination country. · All data stored is private and confidential. We have all the licenses needed for Pharmacy Drop-Shipping and also registered with all important Government agencies for doing pharmaceutical exports.